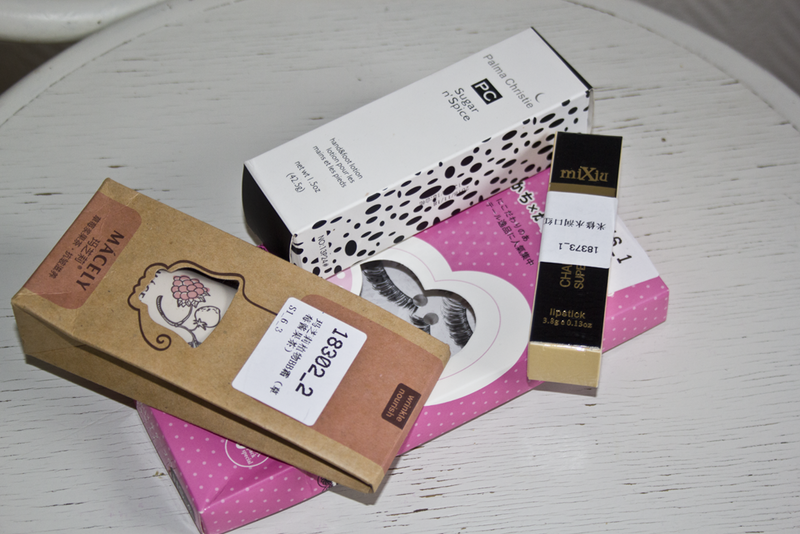 I recieved a couple of things from Born Pretty Store, and today I'll do a tiny overview for you. I got got these Beautiful lashes in #1. I haven't tried them yet, but from just poking them they feel really soft, and I'm sure that they will be comfortable to wear. I love lashes, And I always find it convenient to buy these 10 packs, because usually they're pretty cheap ($3.99 for these) and they're not that bad to be honest. Yeah, me too, I don't know if it could be that Mácely and Skinfood is the same company so therefore they use the same packaging, or, Mácey could just be a more "budget" kinda brand that does something similar to Skinfood? you know like, Urban Decay originally did the naked palettes and now almost every company has atleast one Naked palette dupe. Anyway. Lastly I got this pretty lipstick in #1. altought I was hoping it would be more Peacy than pink, but sometimes it's hard to see on pictures how the colours actually are! And I'm not bummed out at all with this color. Fun story; I was completely newly awake when my boyfriend came it with the package, so when I opened this up I got frustrated because I couldn't find where to get the cap off, untill I realised that youre supposed to pull the knob and the lipstick comes out haha! They do have some fun colors so I actually think I'm going to order some more. I just have to actually try this on my lips first. Like I said above, I've only handswatched them so far.